Rana d'Oiro complex offers a self-catering apartment in Brejos, Albufeira. 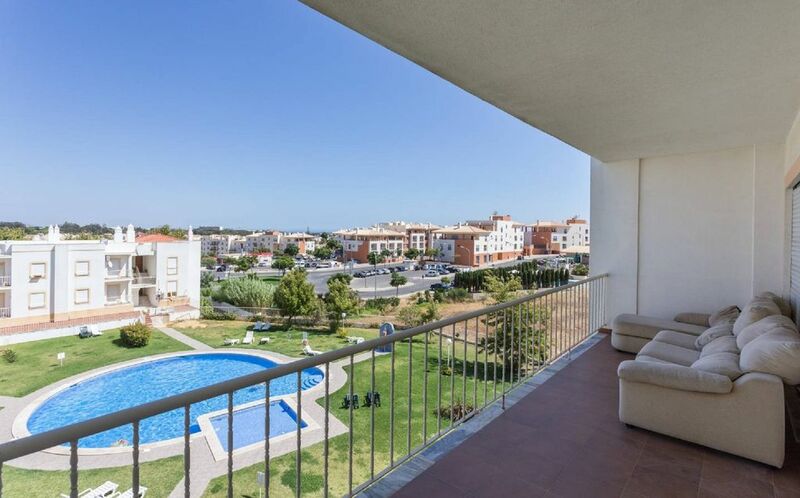 The apartment compreende 2 double bedrooms with fitted wardrobes, bathroom, lounge / dining with cable TV, balcony overlooking the pool and a fitted kitchen. A large private and open terrace with BBQ and sitting / eating space Gives you fantastic views over the surrounding area. Oura Beach and Santa Eulalia beach are only 1.5 kilometers away, the center only 2kms Albufeira and Faro airport can be Reached Within 30 minute drive. Altough THE HOUSE HAS ONLY 2 BEDS doube IT CAN accomodate MORE THAN 4 PERSONS. Please request info.